Have you ever plugged a cord into an electrical outlet that feels soft or spongy? Have you ever noticed a green, greasy film leaking out of electrical outlets or receptacles? Should you be concerned about any of these conditions? 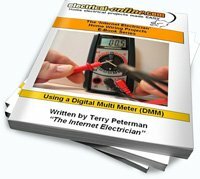 In this informative video clip, Terry Peterman, the Internet Electrician, discusses common problems with electrical outlets and how to resolve them. This entry was posted in Videos, Wiring-Videos and tagged electrical, electrical outlets, electrical receptacles, outlet, outlets, receptacle, receptacles, wiring. Bookmark the permalink.